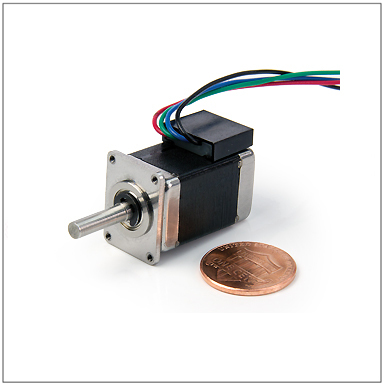 We're excited to annouce our smallest hybrid step motor. One of the biggest problems Engineers face while designing ever-smaller devices is making things move. As the size of equipment decreases, the demand for smaller motors increase. However, oftentimes small enough motors simply don’t exist, and if they do, they do not provide enough torque or speed to be useful in the application. Often, the only option is to use a large framed motor and shrink everything else around it. Motion control is the real bottleneck which forces Engineers to compromise on the footprint of their device. Our new 106 Hybrid Stepper Motor is what many Engineers have been waiting for. It solves many of the problems in motion control which prevented equipment from getting smaller. By applying our experience and our Engineering know-how in the field of Hybrid Stepper Motor technology, we were able to succeed where many have failed. 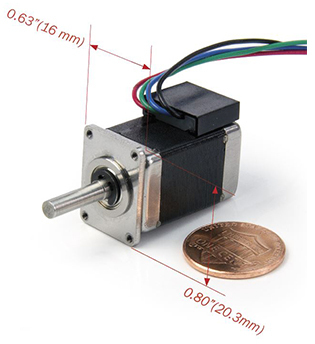 We’ve successfully created a NEMA 6 sized stepper motor that delivers plenty of performance. The 106 outperforms all other motors of similar size on nearly all metrics: it delivers more torque at higher speeds with greater accuracy.